I have no further details, but I thought it might be of interest here, as there are some fox / kitten enthusiasts about. It must be a pretty rare thing I'd guess? It is a home conversion to a very high standard. There is a resume of the project on World of Reliant forum. The car uses 6 x 6volt deep cycle batteries plus a standard battery for lighting demisting etc. I believe the top speed is about 50 m.p.h. and the range about 30 miles (in a hilly part of Britain). Of course like most Reliants the important thing is the smile factor! Last edited by Emma K on Thu May 05, 2016 5:32 pm, edited 1 time in total. 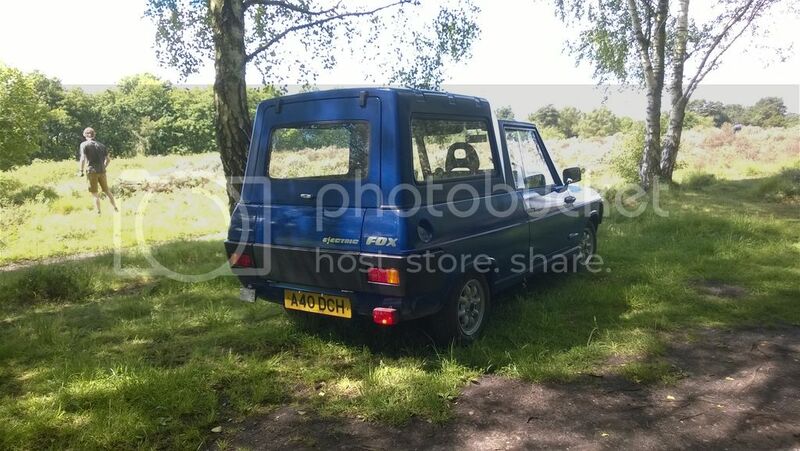 I remember Welwyn / Hatfield council used to have a few Fox pick ups in the late 1980's that were used to carry mowers and other grounds maintenance stuff - they were small enough to be driven right along the cycleways and park on verges and footpaths without blocking them.